The Planning & Development Department solicits your feedback on a draft bikeway network under the city-county partnership. The objective of the network is to improve on-street bicycle infrastructure, create safe intersection crossings for bicyclists and pedestrians and connect residents to major destinations within and around Fifth Ward and Kashmere Gardens. The City of Houston Planning & Development Department has met with and will continue to meet with community members of Fifth Ward and Kashmere Gardens to discuss key destinations and routes. 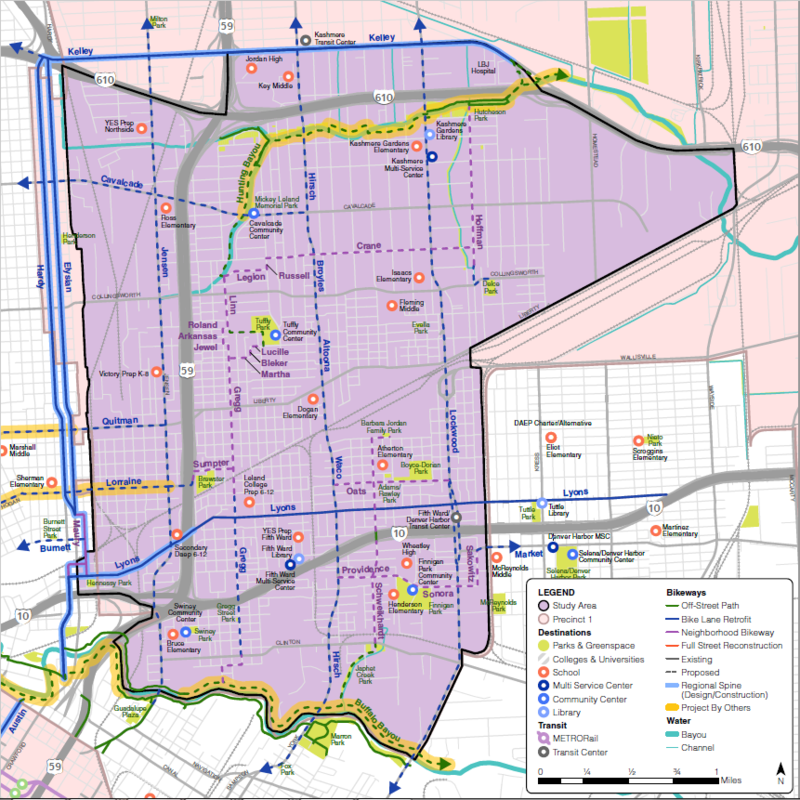 Would would you like to bike in Fifth Ward or Kashmere Gardens? Contact us at bikeways@houstontx.gov or (832)395-2700. Public engagement has been completed for Kelley Street bikeway improvements at the same time as Near Northside bikeway engagement to continue Hardy & Elysian bikeway improvements into Kashmere Gardens. View Kelley Street’s project summary here. Questions, concerns, comments or feedback about planning, engagement, and implementation of the Houston Bike Plan? Please contact us at bikeways@houstontx.gov or 832-395-2700.